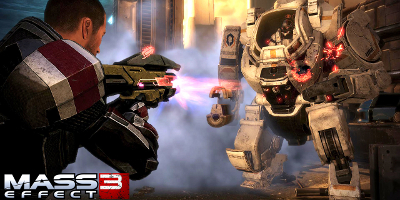 Mass Effect 3 plunges you into an all-out galactic war to take Earth back from a nearly unstoppable foe – and how you fight that war is entirely up to you. Groundbreaking interactive storytelling drives the heart-pounding action in which each decision you make could have devastating and deadly consequences. You are Commander Shepard, the only one who can save Earth from annihilation. But you are not alone. At your side is a team of elite, battle-hardened soldiers ready for your command. Flank enemies with your squad or take them down lone wolf. Use cover or go in guns blazing. Unleash tactical assaults from a distance or go toe-to-toe with enemies using devastating melee assaults and the deadly omniblade. On March 6th, 2012 the war for Earth begins on Xbox 360, PlayStation 3, and PC. Play Your Way – Choose a fast-paced cinematic experience or delve into a deeper, more choice-driven narrative. Either way, intense combat propels the action as you fight to unite a war-torn galaxy against a common enemy. A Rich, Branching Story — Interactive storytelling delivers an experience unlike any other, with multiple outcomes determined by your choices. 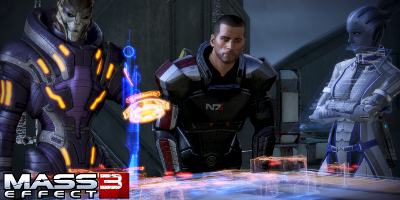 Mass Effect 3 will redefine what you know about emotionally engaging story. Unleash a Customizable Arsenal — Build your character and squad with dozens of unique weapons and abilities, each with powerful upgrades and modifications. Class-Based Co-operative Multiplayer Missions — Fight the war alongside your friends in four-player co-op missions. Choose from a variety of races and classes and combine your skills to overcome impossible odds. Your success can have an impact on the outcome of your single-player experience. Adrenaline-Pumping Gameplay — Feel every bullet impact, roll into cover, and unleash devastating heavy weapons in an intense and pulse-pounding action-shooter game. Ruthless and Intelligent Enemies — Battle merciless enemies that will consistently challenge your best combat tactics and put you on the edge of your seat. This is the best game in the series by far. Although it got a lot of criticism when it was launched it is still a very good game. You can the play how you want; either for the narrative combat where you make all the decisions, or all action where most of the decisions are cut-scenes and combat is more challenging and the game is just generally epic! 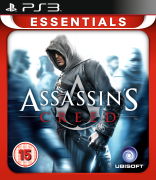 The collector's edition is great as it includes a steel book, artwork and the original game. Highly recommend! Another masterpiece from Bioware! If you enjoyed the previous Mass Effect than this will get you even more acompanied! Many options available to play multiple walkthroughs and Upgrading every Characters and Class in a different way wins this game the best replay-value you can imagine! 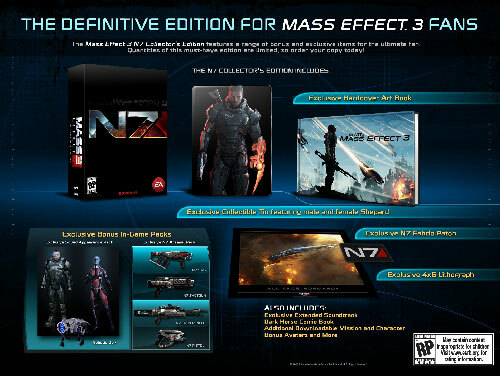 Most importantly, the N7 Collector's Edition is at a great price with SO MANY Goodies included in another game masterpiece! Don't waste it, just get it while you can! For a Collectors Edition it was pretty good and I was happy with the content, my only complaint was the DVD size Steelbook for the PS3 version you would think that it would have been Bluray size since Bluray is pretty much the more modern product now maybe it was to save on production costs or something. Good game and a good price for it. 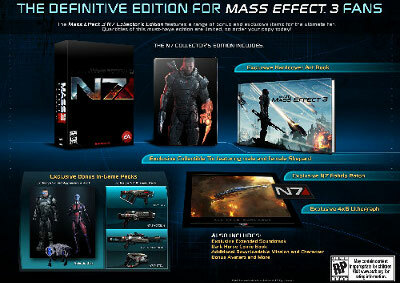 Regardless of whether you are a fan of the 'Mass Effect' series or not, this Mass Effect 3: N7 Collector's Edition is definitely a great addition to your collection. For newbies this game is great for introducing you to the series, as for fans of the series the improvement on the combat system amongst many other things is definitely worth checking out. Apart from the fact that the series alone is arguably one of the best video game series' of all time, particularly in the genre of Sci-Fi shooters, the collector's edition also comes packed awesome exclusive goodies that would deeply satisfy fans and newbies alike. 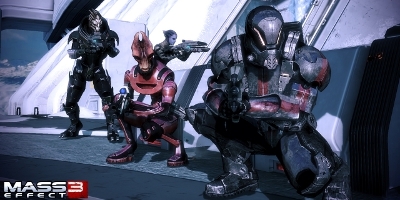 I have played the first two Mass Effect games and Mass Effect 3 is extremely impressive from the vast single player to a well put together multi-player. 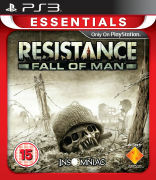 This game is a true marvel and deserves to be named game of the year for 2012 - Fantastic Game. Just got Mass Effect 3 the N7 Collector's Edition last weekend, and I must say the multiplayer is amazing, definitely worth the purchase. I beat Mass Effect 3 in about a week and a half, about 40+ hours in, and I enjoyed every second of it. This game has been getting all sorts of hate because of the controversial day 1 DLC, and because of the supposedly unsatisfying ending(s). In my opinion, aside from a few tweaks here and there in the technical department (which I'm sure will be rolled out with the next few patches), this game is absolutely A+, and I am 100% satisfied with it. I am 29 years old, and it's been a while since I've been so involved emotionally with fictional characters, setting, and story in a game. The Story Continues...and the game is amazing too. Firstly this game is quite expensive considering the cost of the normal version but this did not put however put me off from purchasing it. I am in fact pleased I did purchase the game because you get many different extras that you would not get in the normal version such as special weapons, armour and a dog! You also get a few other physical things such as an art book, a comic, and a N7 Velcro patch. Now on to the game, I found the games controls confusing at first but after a couple of hours I soon got used to them. Game-play is quite well developed although I did feel that some of the graphics could be slightly more refined. The story line is easy to follow but probably will be easier to understand for those who have already played ME1 and ME2. All in all this is a good game, and, if you have the funds, I would totally recommend getting the Collectors Edition based on the amount of extras you get which make gameplay overall more enjoyable.